Siskoid's Blog of Geekery: DCAU #233: Destroy the JLA! IN THIS ONE... Amazo fights the JLA to make his master proud. CREDITS: Written by Steve Vance; art by John Delaney and Ron Boyd. REVIEW: Besides the better than average superhero action, what they give us in this issue is an Amazo with a soul. More than an unstoppable murderbot with all the powers of the JLA, Amazo 2000 has feelings. Child-like or even pet-like they may be, but he gets special satisfaction at making Professor Ivo proud, and ultimately, turns on him when he feels jealous of numbers 1 through 1999 and betrayed by his callous master. The Martian Manhunter's line at the end, where he replaces going "haywire" with going "human", is a good one and makes you feel for the android. 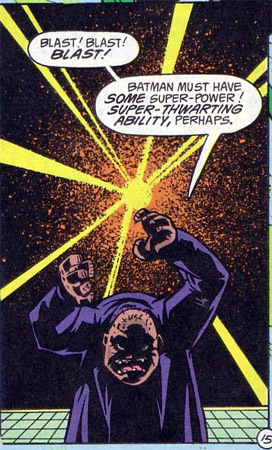 I also like Ivo's contention that Batman must have a power he didn't account for, because this being based on Morrison's JLA, the Dark Knight's cleverness is of course on par with any world-class power the League might use, and Ivo didn't account for it. If it's a power, it's one that can't be copied or drained, sorry. I was afraid Batman being ignored by Amazo was precursor to his saving the day while the JLA lay at Amazo's feat, already a cliché at this point. Thankfully, the Bat's plan includes other Leaguers, and it's a team effort that takes the android down. IN THE MAINSTREAM COMICS: Professor Ivo and Amazo make an appearance in the proper DCAU down the line with differences from the mainstream DCU we'll make note of then. These versions are more or less in line with the mainstream, except that Amazo is encountering the JLA for the first time in the 90s. 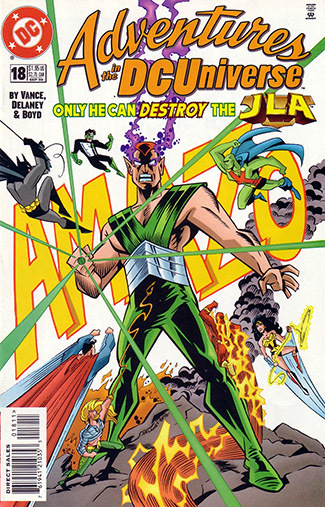 The original was never called Amazo 2000; the DCAU Amazo will actually be called A.M.A.Z.O. 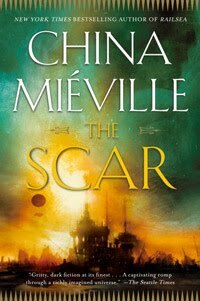 REREADABILITY: Medium-High - Good action and a story with an emotional core.